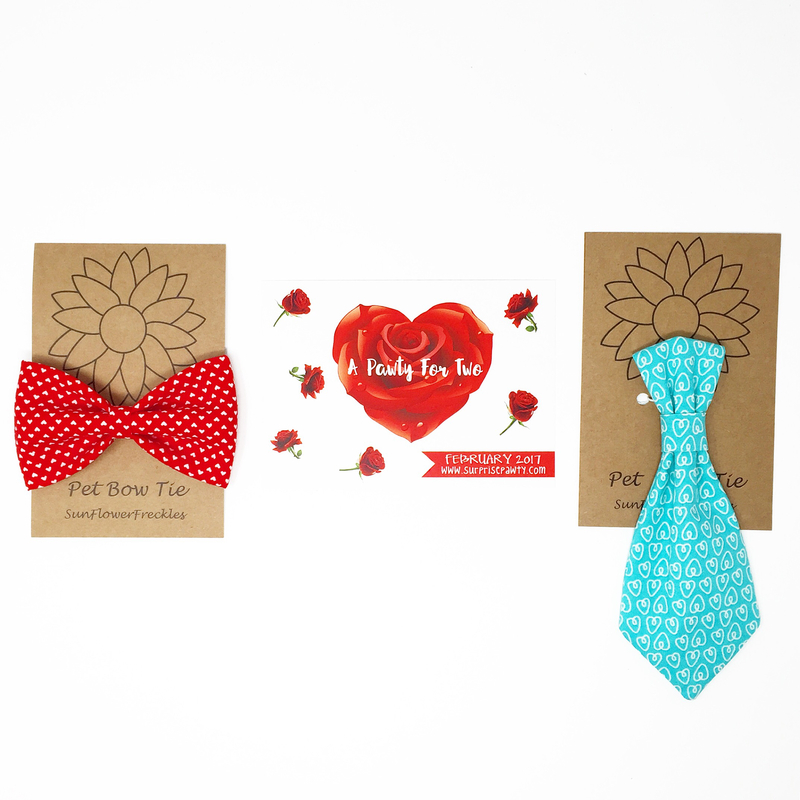 Is your pup ready to look cute and stylish with our exclusive Valentine's Day Heart Tie & Bow Tie for their play date? Handcrafted in Maine, USA. * These exclusive prints are only available through Surprise Pawty. 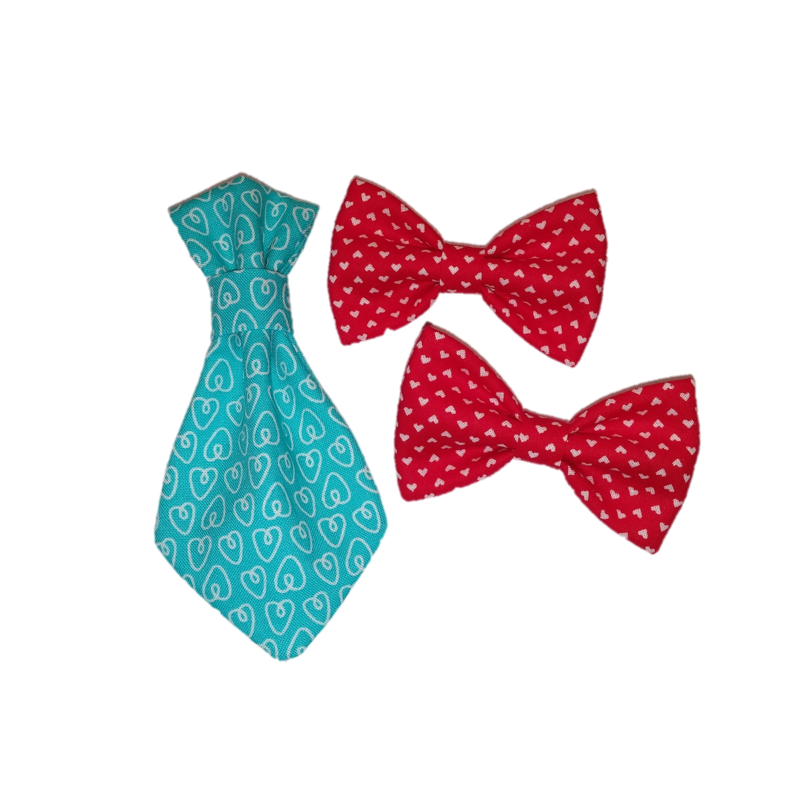 Large Bow Tie - 5" x 2 1/2"
Small Bow Tie - 3" x 2"